Review: Nacho Bolognani has been steadily building up a solid foundation of work over the past few years, moonlighting on labels like Fun Records, Momentz and MyHouse YourHouse. Now the house producer brings his skills to Purism, Enrico Mantini's on-point label that deals in all kinds of sublime stripped back jams. DKGF EP leads in with "Distance Dub," a steady ticking tool that should sit easy in the mix with all manner of sounds and styles. "Kip" brings a more shuffling strain of dancefloor goodness to the table, with some spooky key flourishes and slithers of vocal pinging out into the spacious mix. "Grey" plies a more nagging, techy trade, and "Flow" takes things deep with pattering percussion and atmospheric pad tones. Rafael Kasma - "Static Rope"
Review: Purism leaps into action once more, this time welcoming a strong cast of lesser known characters that fit right into the adventurous approach to house and techno that the label has forged its reputation on. All these producers make their first appearances here, but you wouldn't know it listening to the quality of the tracks on offer. Rafael Kasma's "Static Rope" is a quintessential grooving house jam with some killer filtered chords, while Munir Nadir brings the twitchy minimalism vibes on "Milagro". 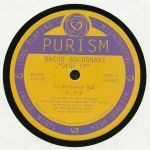 Jackie is on a sultry, jazzy deep house tip with "Lune" and Mag0 rounds things off with the cheeky, quirky funk of "Spectrum". Review: Italian producer Enrico Mantini has been his thing for longer than most, with releases reaching back to the early 90s when deep house was first surging in popularity in Italy. 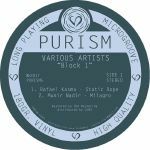 This new label Purism opens up with Mantini showing off his years of experience via some warm, undulating tracks that should sit comfortably with any lover of true deep house. "Inner Heights" is as laid back as they come, harmonious and buttery synths oozing over gentle machine beats. "4 Strings Love" is a peppier affair with a bumping rhythm and dubby melodic touches, and then "Unparalleled Consistency" strips everything back to a minimal core, showcasing the range within Mantini's learned palette. 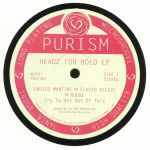 Review: Long-serving Italian deep house producer Enrico Mantini has been in the game for a long time, first dropping bombs back in the early 90s, but his career has enjoyed a powerful second wind in the past few years with appearances on Half Baked, 4 Lux and more besides. 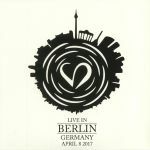 Having released the Inner Heights EP on PURISM earlier in 2017, Mantini returns with an album of immersive, tripped out grooves supposedly recorded live at Tresor in Berlin. The vibe is consistently deep, refined and just a little bit trippy for the minimal house crowd to go head first into. Review: The Purism label has already worked plenty with Enrico Mantini, but this time he's brought a friend along to help represent the Bologna-based team. Flavio Vecchi sounds right at home co-steering "Try To Get Out Of This", a devastatingly simple and deadly deep cut for heavy lidded house heads to get lost in the smoke machine to. Whether early in the evening or very very late, this is a big tune. "What U Do To Me" finds Nudge opening up the B side with a dreamy breakbeat house flavour for the after party crowd, and then "Dub Vandalo" maintains the stripped back but utterly punchy approach that makes this whole record so damn effective. Review: After the label debuted recently with a 12" from Enrico Mantini, Purism returns with another fresh talent in the shape of Pepe Villalba, who makes a mighty fine impression with this first outing. "Acidbreak" may be something of a misleading name, although the 303 and a broken beat do feature heavily. It's actually woozy lead lines that shape out the vibe of this track, making for a dreamy electro diversion, and the mysterious yet warmly melodic tone continues on "U.F.O. (Sad Story About Conquering A Planet)". "Pianelice" is a different kind of jam with its stark keys way out front, but it's no less classy and ear-catching. "Charlie On The Moon" then finishes the record off with some slow, leftfield sparkle pitched at the lounging crew. Next online in 9 hrs 9 mins.